As always, it’s the precision, quality, and many small flourishes Apple uses to create their live events…which never fail to impress people far beyond those who were actually there in attendance. 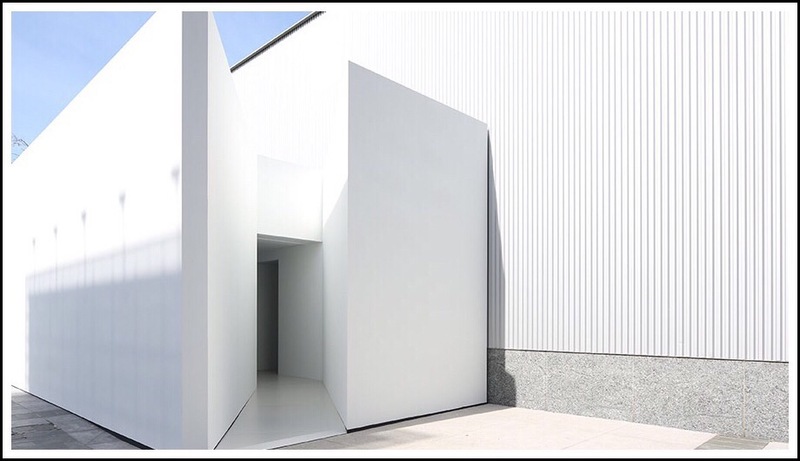 Apple built this strikingly beautiful yet simple, temporary structure to act as a hands-on pavilion. Audience members were invited to experience Watch in an up-close and personal way, following the formal presentations. 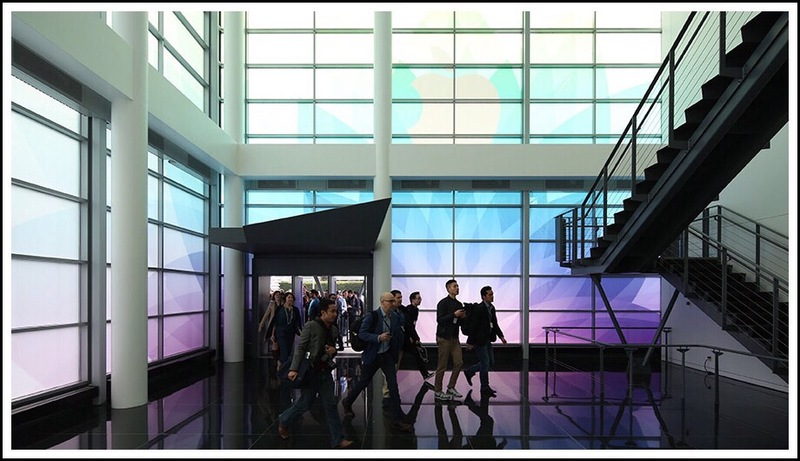 Today, Apple hosted another one of it’s live marketing extravaganzas at the Yerba Beuna Center in San Francisco. Included in the overall schedule was a live broadcast lasting roughly 30 minutes, which served as the official unveiling for Watch. Unfortunately, the change to Daylight Savings time on Sunday, March 8th, along with some either misleading or completely incorrect information, found posted on Apple’s event page (a week or two prior to the event) caused a lot of confusion about the start time and the length of the ‘live’ broadcast portion of the event. In my mind, I remember it this way. 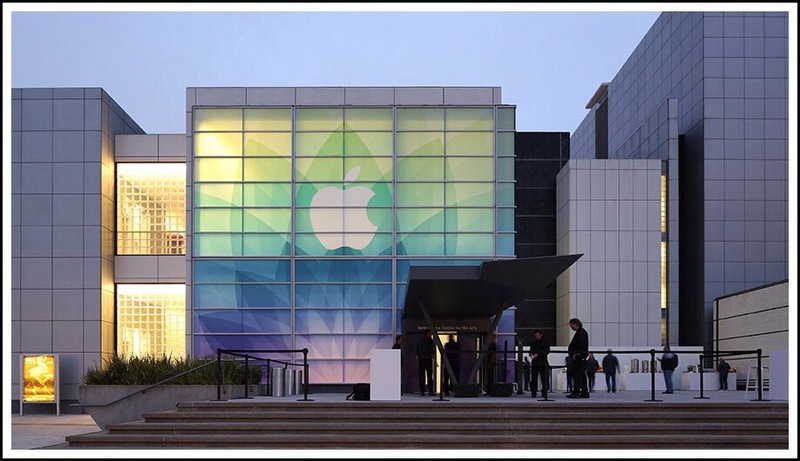 Originally Apple’s website stated that the start time was 10am, and this in fact, was the correct start time for those in the Pacific time zone. However, that early information stated the 10am time was for the Eastern time zone. This lead many people to tune in at 11:00am Central time (CT for me, or the appropriately adjusted time for other zones,) only to be met with a static screen stating that the 10am start time was actually Pacific time, not Eastern time…and therefore still 2 hours off in the future! I was one of the confused ones, but I quickly figured out what really occurred. I’m certain the time zone was posted incorrectly initially, because Apple’s site offered to convert the time zone for me, then offered to add the event to my ios calender app. Needless to say, I was completely ready and beyond excited when at 1:00pm CT the live stream finally began! Surprisingly, the live broadcast portion was only a half hour long, and it focused almost exclusively on Apple’s Watch. Apple will begin accepting pre-orders for Watch on April 10th, and deliveries will begin April 24th. 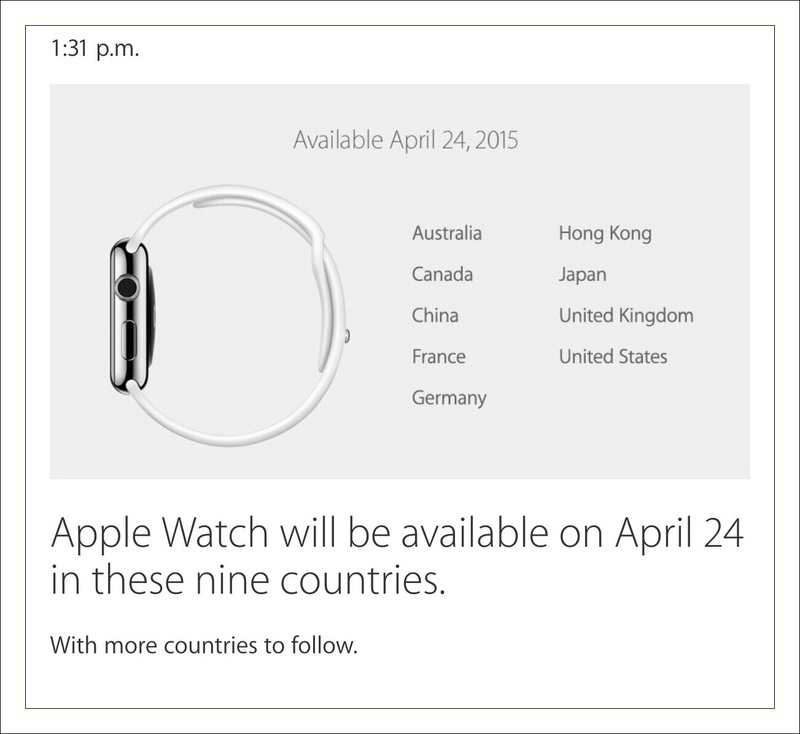 The 9 countries shown below will be the first countries Watch is made available to, however Apple plans to increase availability to more countries soon. 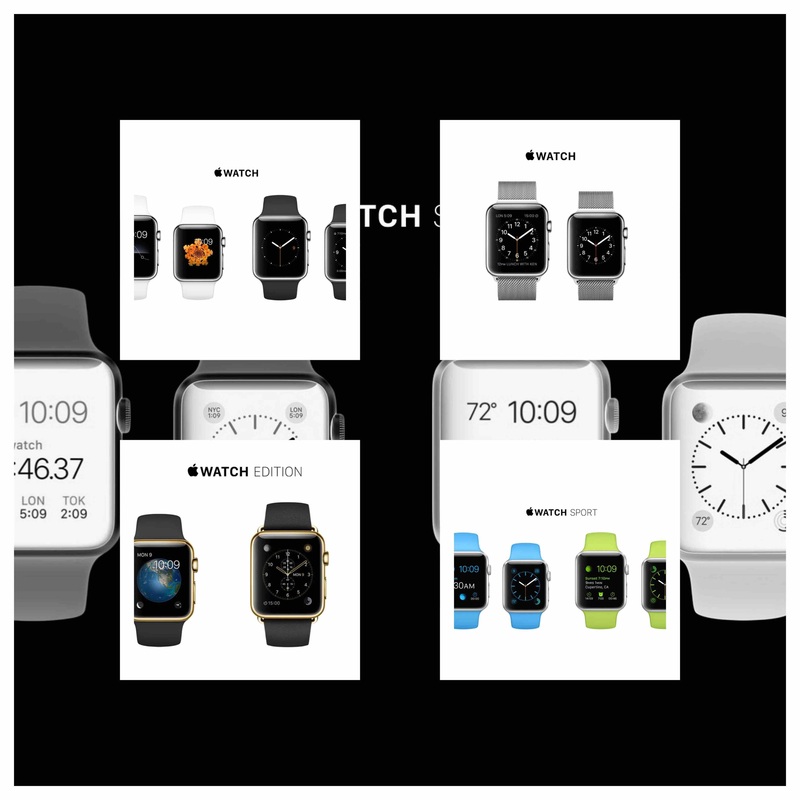 Watch Pricing | Pricing for Watch includes three main price tiers. Apple identifies these as collections. The labels used for the collection names is confusing to me…so it will be interesting to see whether or not Apple revises these names in the future. Collection names currently include the Sport collection, the Watch collection (no that’s not a typo…it’s just odd right?) and the Watch Edition collection. Apple’s overall price scheme clearly seems to help identify the appropriate collection, since there’s a big enough price gap between the collections right now. Each collection offers the same watch styles in 2 different sizes. The smaller size, 38mm, (the size refers primarily to the overall size of the watch face,) is geared towards women and the larger 48mm size towards men, or those people who just like bigger watches in general. As Apple promised in September 2014, the lowest prices start with the ‘Sport Collection’ watches which range from $349 (for the smaller 38mm size,) to $399 for the larger, 48mm Sport size. The next tier, (somewhat confusingly called the ‘Watch Collection’) will also have 2 main price tags. The 38mm version will generally set you back about $549, while the 48mm size will be $50 more. This collection should max out at around the $1,049 mark. Last, but certainly very far from least, Apple is planning to offer the extremely exclusive, high-end, ‘Watch Edition’, sometime soon, but not immediately it seems. Watch Edition watches will be purposefully limited to small production runs, thereby assuring availability to only an elite few. Watch Edition’s target market seems to be a highly selective ‘micro-niche’ Apple’s identified including style & trendsetters, watch collectors, and individuals who feel that displaying obvious status symbols of their wealth & success is important. That ‘niche’ to me seems to aptly identify those who would take the time to seek out limited availability sources and who are both willing and able to ‘not blink’ as they proffer the required $10,000 to $17,000 price tag. This would assure Apple that at least some of their iconic Watches will withstand both the test of time and maintain at worst, a minimum value level, but more likely an appreciated higher value over the longer term. 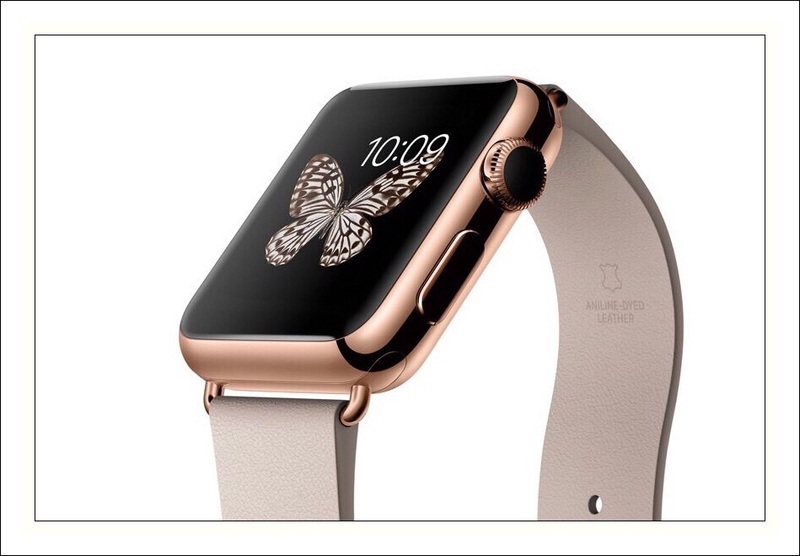 Watch Edition models will be fabricated in, what Tim Cook called, during the event, 14 karat solid gold in yellow and rose colors. This is actually a bit of a misnomer however, since neither 18k gold, nor any other karat gold for that matter, would actually ever be referred to as ‘solid gold’. True solid gold wouldn’t be referenced using karats at all, since the karat designation identifies the amount of gold in the alloy. True solid gold would never really be strong or durable enough to prove suitable for use as a watch or as any other wearable trinket. I suspect why Apple is using that terminology is because the alloy is 18k throughout as opposed to being plated or filled gold. Here’s a great little 6 minute video explaining a bit of the difference between gold alloys. In the grand scheme of things, Watch is really all about the metals that are used in their fabrication. Apple believes that they’ve created some really unique alloys using Aluminum for the Sports Collection and Stainless Steel for the Watch Collection. Three visually stunning, British accent-narrated, videos describe this aspect in a lot more detail. What Kinds Of Things Can You Do With Watch? You can access and control many smart home devices. Everything from Hue lights, to furnace operations, setting security alarms or unlocking doors from remote locations. You can learn about your own health habits, and potentially monitor things like sleep cycles. You can remind yourself, after predetermined inactive periods that you need to take a break or do something different physically. Things like monitoring your diet, working on improving your nutrition and tracking and designing your workouts, will all be possible. Either using your Watch alone or by connecting it to your other devices, including some of the wearable fitness devices currently on the market. You can use Passbook and Reminders in an almost automatic, near field manner, to remind you of shopping items you may otherwise forget or would need to drive far distances to otherwise. TechCrunch shows a lot more detail about how the apps will look on my the Watch display and includes some videos showing how some of the apps work. So, What Is Available Right Now? The Apple Watch App ? The app is supposed to be available now after updating to ios 8.2 in the App Store, and is said to include a lot of details, specs and styling information. It’s intended to provide customers with all the data they’ll need to decide upon during their pre-ordering deliberations. However, I did update to 8.2 as I wrote this, and didn’t find a Watch App there per se, but rather an illustration somewhat resembling an app, which is essentially a hotlink taking you to Apple’s Online Watch site. You don’t even need to update to 8.2 for this link to appear…just use Apple Watch as your search term. 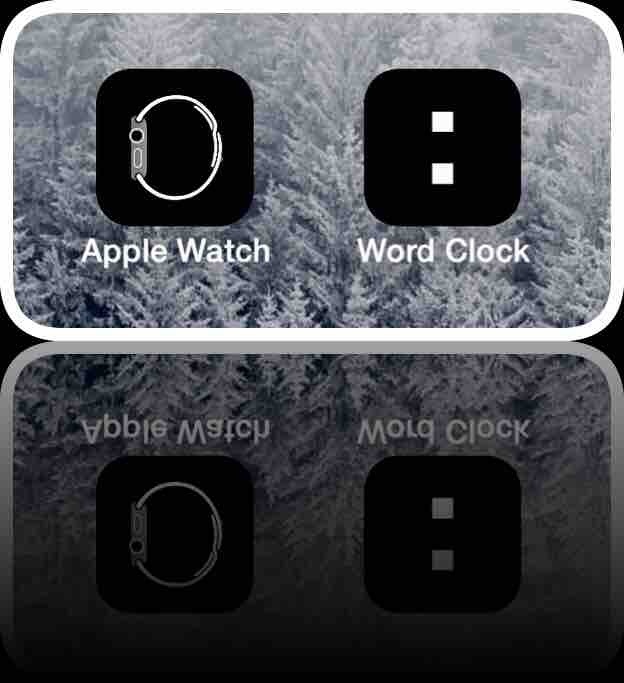 The other app I’ve displayed above is an app called Word Clock for Apple Watch, which I found on the app store in my iPhone while trying to pullup the app for Apple Watch so that I could link to it here, but as is typical with Apple apps they are hard to find on the app store and I can’t find it. So either it’s not there, and will show up on everyone’s iPhone when they update, or I just didn’t spend enough time searching. I’m not sure why it’s on the app store for iPhone, since it’s essentially an app for Watch, but it is and it’s just a simple watch face that tells you the time in text, as opposed to numeric digits. It’s free so I linked to that instead! Directions for how to use Apple Watch app to virtually try one different Watch sizes. 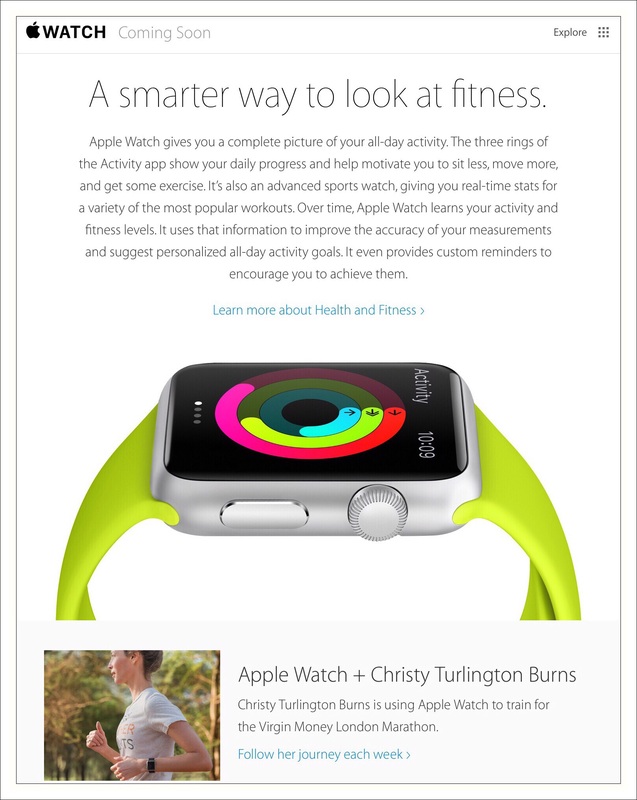 Apple has developed an app store specifically for Watch. While I can’t link to it right now, because I don’t have a Watch, I found a great website created by the AppAdvice group, who’ve compiled a library of a lot of the apps already availability for Watch, and who are working to keep that library updated frequently. Watchaware.com link to Watch apps. Apple’s website for Watch has lots of great photos, technical and specification information, links to fabricating videos and more. This site also shows all of the Watch styles that will be available to pre-order to 10th of April. One attendees review of Watch along with a few short videos as he watches and tries out Watch in the pavilion. Disappointingly, there was no announcement made today for an all new, much larger iPad Air, perhaps named the Pro or Plus. But this has been strongly hinted about for more than a year now. It seems there are just too many rumors and too many new products being developed to go along with such a concept, to make it not be both a viable form factor, and a reality very soon. So, if Apple follows their normal schedule for unveiling exciting new product releases…this should be announced in the fall of 2015. I’ll be writing more about the specific details for Apple Watch and about what Watch can really do shortly, as well as including a lot more photos, so be sure to check back in a few days time! 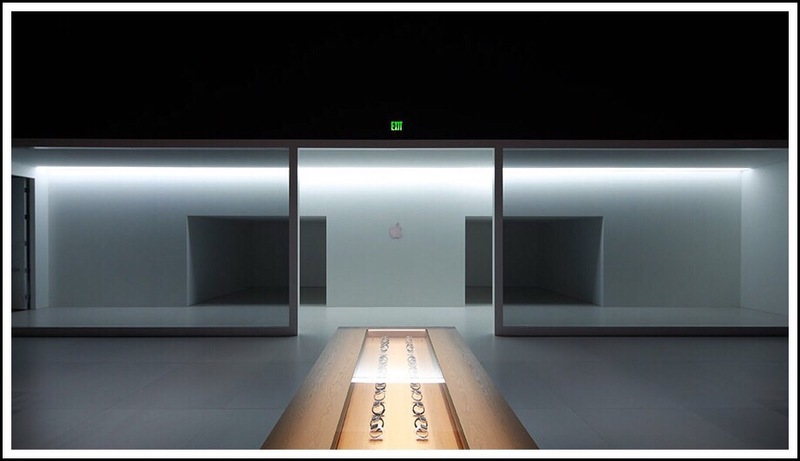 This entry was posted in Apple, Apple News, Apple Products, Apple Watch, Apple's New ios 8, Apple's New iPhones, ios, ios 8, ios apps, iWatches and ios 8 Announcements, Watch, wearable tech and tagged Apple, Apple new products, Apple News, Apple Watch, ips 8.2, MacBook Pro, Watch. Bookmark the permalink.